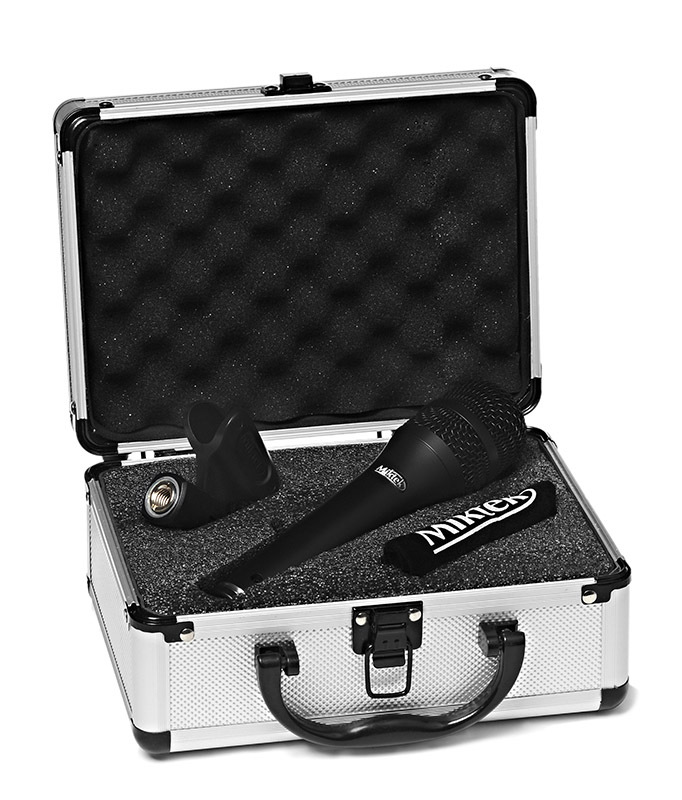 Experience Miktek PM5 Performance Series handheld condenser stage microphone. You’ve worked hard in order to give a better than average performance, so you demand a better than average microphone to reproduce the sound of your voice. Like all Miktek Performance Series microphones, the PM5 offers way above average sound and build quality impressing the most discriminating engineers and artists. Featuring cutting edge capsule designs that are perfectly matched to Miktek’s proprietary output transformers; the PM5 produces a modern, yet truly classic sound, well suited to today’s contemporary performers. 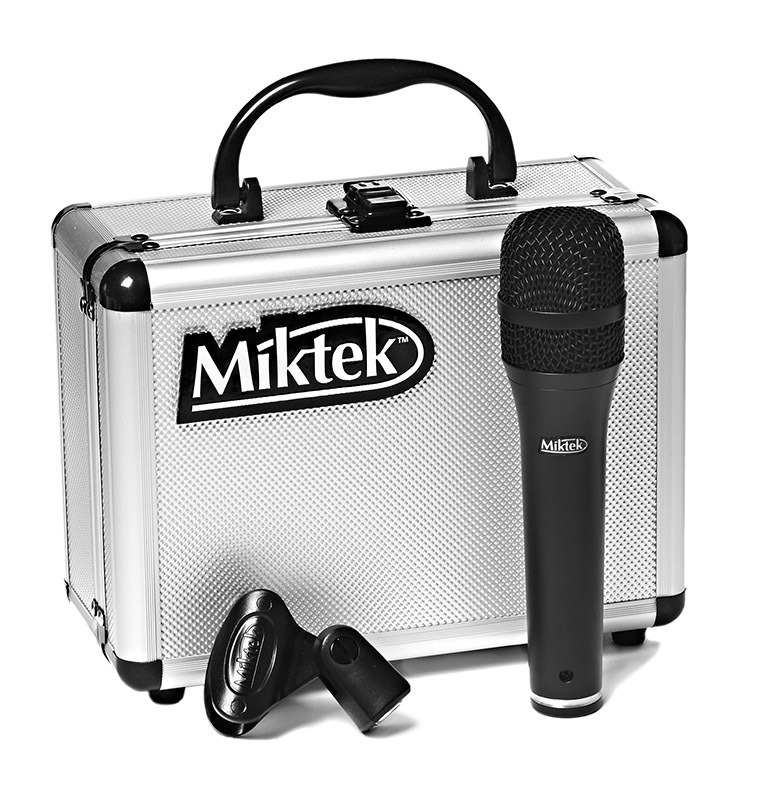 The Miktek PM5 super condenser microphone brings the sound of a high-end studio condenser to vocalists for live stage use. Sharing the capsule, electronics and output transformer of the Miktek C5 small diaphragm condenser, the PM5 is a truly world-class mic that offers detail and nuance. The PM5’s frequency response is extremely linear, with rich lows, a present yet sweet mid-range, and airy highs that please artists and engineers alike. In fact, the PM5 is perfectly at home in the recording studio for miking acoustic guitar, piano and as drum overheads. The PM5 employs a multistage windscreen to help ensure a minimum amount of p-popping. The steel grill and die cast body ensure durability and reliability night after night. 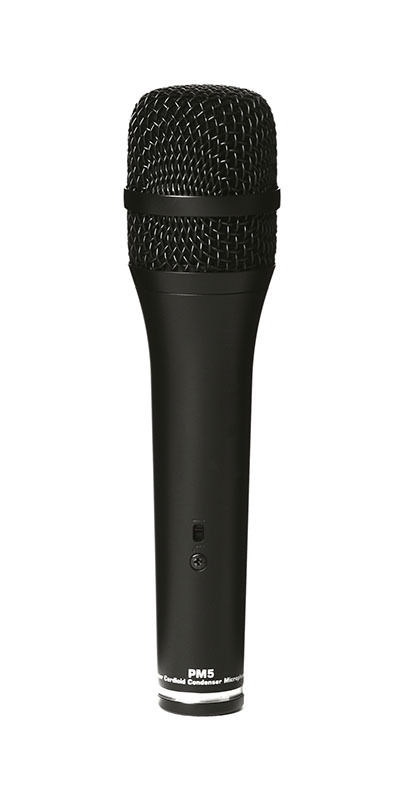 An ultra sleek, black finish with stainless steel appointments make the PM5 an attractive complement to any stage setting.